I knew the benefit of setting up a campaign on facebook would be the targeting that facebook provides. For example, if I wanted to reach people who are interested in Aerosmith, The Who, and/or The Daily Show, I had the option of doing so. And my ad also appeared ALOT. If you’re looking for impressions (awareness), facebook is a good platform. If you’re looking for direct conversions (leading to purchases), I would still consider it. However, I would strongly consider running a google adwords campaign at the same time to compare results. For those interested in running a campaign, I’ve attached some visuals. If you’ve run a facebook ad, or are thinking of doing it, let me know. I would love to hear your thoughts, comments, and questions. What are you looking to advertise? What are your expectations for setting up the ad?Â What do you want your audience to do? Â What kind of results do you expect? Hi! I am thinking of placing an ad about my website on some top blogs and facebook is one of them. what do you think? Is this the right strategy? I am the owner of ourloveoyoga.com I have a facebook page but want to advertise it on facebook more. what are your thoughts. I sell yoga & fitness clothing and have grown tremendously in the past 6 months. your thoughts? I think one of the misconceptions people have is that using facebook solely for advertising will work. 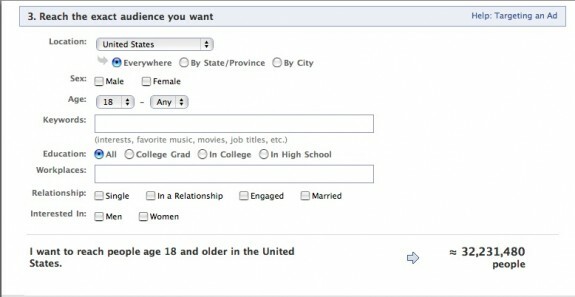 Facebook, and other social networks work on a social level. If you’re only doing self promotion on social networks, then you’ll be ignored. 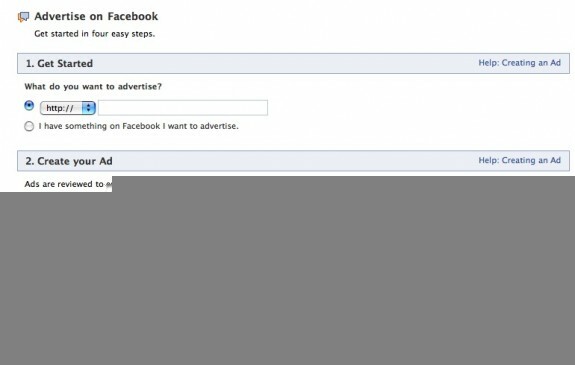 That said, if you’re looking to do straight advertising, Facebook could work well as an ad platform. But be warned – their conversion rates are super duper low when compared to other ad platforms (like adwords).